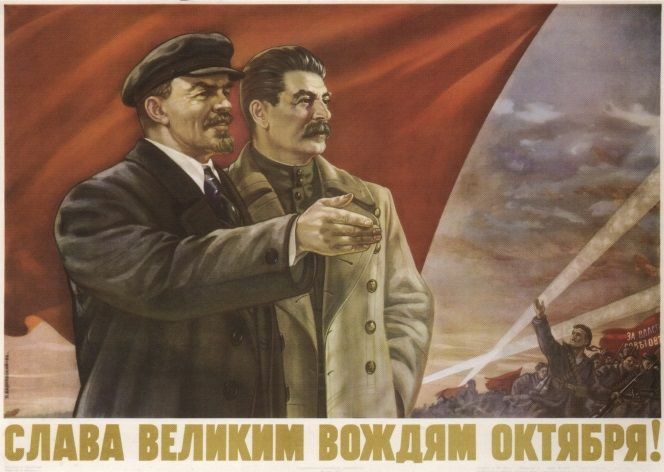 Vintage Russian poster - Glory to the great October leaders! Vintage Russian propaganda poster produced in 1952. 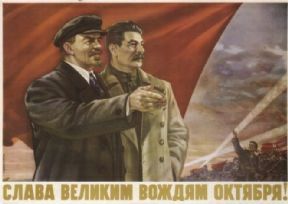 Glory to the great October leaders!